The Toshiba Aquilion 64 is a whole body 64-slice CT scanner designed to provide you optimal performance and image quality. 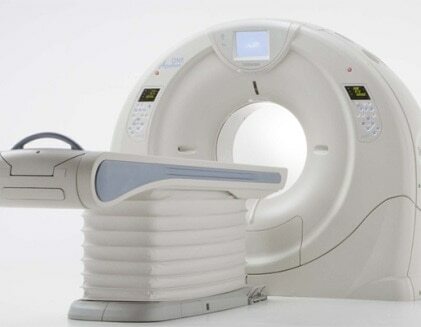 This scanner has been built on Toshiba’s unique 64-row Quantam Detector and is known as the world’s only true volumetric 64-slice CT scanner with 64 detector channels, 3D cone beam algorithms and volume reconstruction. The Aquilion 64 has been designed to produce high-speed scans, high-resolution images as well as low contrast resolution. With the Aquilion 64 you get fast temporal resolution, high spatial resolution, outstanding low contrast resolution and automatic selection of scan parameters.